Amazon (s AMZN) is prepared to take its sales tax war to one of the biggest arenas of all: California. In an email sent Wednesday, Amazon warned that it will shut down its Amazon Associates Program for California-based participants if the state passes a proposed bill that would impose new taxes on online retail sales. As online shopping has ticked up, more and more states have begun passing laws that require online retailers to charge sales taxes. Amazon has been battling with state legislatures over whether or not its transactions should include the same sales taxes required of brick-and-mortar retailers. Amazon has already terminated its affiliate programs in such states as Arkansas, Colorado, Connecticut, Illinois, North Carolina, Rhode Island and Texas due to the battle over sales tax. If nothing else, Amazon’s showdown in California proves Bezos is a man of his word. 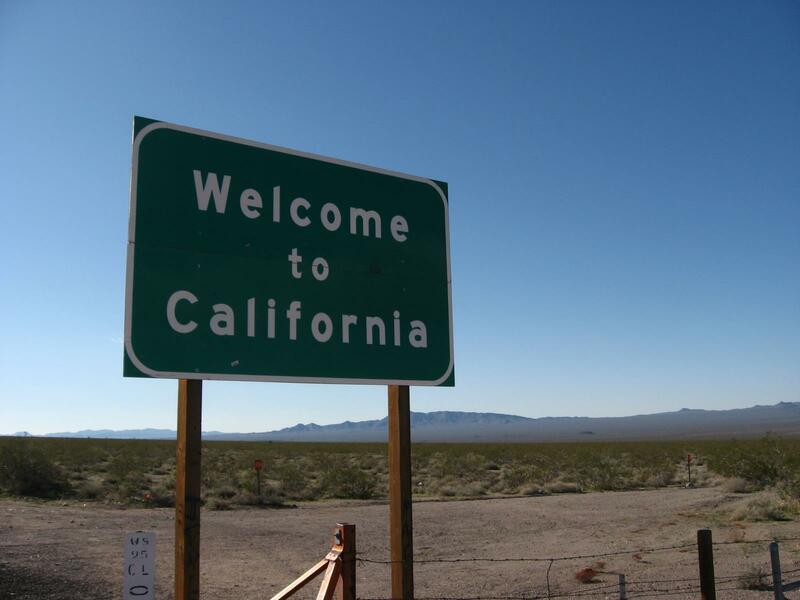 But California is well-known to be a major — and uniquely important — economy in and of itself. Time will tell whether the decision to go to the mat with the Golden State will turn out in Amazon’s favor. For well over a decade, the Amazon Associates Program has worked with thousands of California residents. Unfortunately, a potential new law that may be signed by Governor Brown compels us to terminate this program for California-based participants. It specifically imposes the collection of taxes from consumers on sales by online retailers — including but not limited to those referred by California-based marketing affiliates like you — even if those retailers have no physical presence in the state. Photo courtesy of Flickr user Ken Lund. As an author of technical textbooks, and an educator in California, helping students acquire classroom texts at the best possible price is of great benefit to the student. Students will always search out a best price and adding additional tax on textbooks is only hurting those who are trying so hard to achieve their educational goals. I’m not a fan of the Amazon tax because it is ultimately not a tax on Amazon but a tax on consumers. But Edgar you raise a very good point. Taxes probably do level the playing field some. Amazon may still have more competitive prices despite the tax because they don’t have the overhead of a big box store. But the tax thing does seem more like a penalty on in-state retailers than a new tax would be a penalty on out of state retailers. I suppose I’d feel better about it if the state proved itself a better manager and executor of its resources. Edgar, cease price matching non-local businesses or risk loosing your job. The price match guarantee offered at best buy is for local business ONLY. Being that amazon is not located in California, it is considered non local and therefore should not be deemed applicable under the price match guarantee program offered at your retail store. i am sorry and hope you could find other means of making an income. These politicians obviously don’t care about us and would rather earn a buck then to spare a few jobs especially while we are in a depression. The system set up by Amazon was perfectly legal. It allows them a competitive advantage that other retailers don’t have, and that’s no fault of Amazon. Companies are free to develop their own business plans, incorporating in states that give every possible edge, structuring themselves for maximum viability and profit. Those who choose a different path are free to do so, for whatever reason they desire. It is not Amazon’s responsibility to do anything which will increase it’s tax exposure or put itself at some other competitive disadvantage. This really is a federal issue, regulated by the federal interstate commerce rules. There are no tariffs between the 50 states. It’s truly a wide open free trade zone, and to exist in a free market, the consumer definitely comes out the clear winner when states are forced to compete for your business. Decisions state legislatures make that limit the competitiveness of companies within its borders have consequences. When people cry unfair about it, maybe they should complain to their representatives about making the playing field fairer by increasing their own chances of being competitive, rather than try for bring down someone else’s operation. But that won’t happen because there’s no advantage to politicians giving up potential sources of tax revenue. This would curtail their ability to pay off campaign contributors and special interest groups with that very same money. The people (Californians in particular) have long forgotten that money belongs to them, not the government. Until they get tired of it, they will continue to pay more and more, and get nothing in return. Maybe the state should level the playing field by not charging sales tax. Why should the government get a portion of every dollar I spend when it does nothing in return. Don’t give the infrastructure BS either if you have driven anywhere in CA in the last say 20 years I think you can agree they sure aren’t using sales tax for that. It will indeed be fairer if all retailers are not taxed, not just Amazon. Now the only thing left to do is to connect the rest of the dots to come up with a balance budget with stable tax base. Then I am all with you. The tax base is already under great strain as more and more of the tax burden is placed on less people with the means to pay for it. With the recent dismal economic news and unemployment numbers soaring (and I’m talking real unemployment, including those who aren’t counted anymore because they just gave up or are underemployed), the number of have-nots are high and likely rising, and the state expects the haves to pick up the slack (and then some). Only government can raise the “price” of it’s services in a recession in the name of fairness and “helping the little guy” and pull the wool over the eyes of people who don’t know any better. My employees and small business suffer this recession everyday. If I raise rates because it’s “only fair” we need to pay more of our share, we’ll be out of business very quickly and join the ranks of have-nots. Not exactly good for the tax base. Any way you look at this, the grand illusion is that this is a tax on Amazon. Really its a tax increase on every citizen of the state that wasn’t there before. They will have to pay it and it will have yet another negative impact on their quality of life. @tung, because amazon is not a retailer like b&n or a mom and pop book store in that they do not have a store which we can visit in california, they should not have to pay state taxes like all other retailers. The buyer knows that if he/she buys from out of state they will save money on no taxes, however, they will not have the luxury of having the item that same day. Normally competition would be fair enough for both local and online markets however, because most are struggling to make ends meet everyone is scraping the pan to try and save every penny possible. Now the big retailers are crying to the state because people would rather wait a bit and save then to go to their stores and pay for their unfriendly service. Much of the merch ordered from Amazon is ordered because of two factors: no shipping charges and no sales tax. States do NOT need to take MORE of my money when I buy goods. The state already gets a large amount on April 15. The states believe they should have a piece of every penny I spend. I don’t think so. @ Tung, dude, maybe those B&M stores should up their resources so that they wouldn’t fail! And this bill would make many Californians angry including me! Amazon is shutting down their associates program in California if this bill passes, a sad day were it to come true. You can also sign yourself if you’re a California registered voter. It is long overdue for Amazon to come to the level playing field. It is pathetic for me to bypass California online retailer like newegg, and instead to pick Amazon to ship good over a longer distance because of their price advantage. Amazon is not a retail giant towering over everyone. Borders is now bankrupt. B&N has a market cap about 1% of Amazon’s. Time to update the tax code for the 21st century and not to give them an unfair advantage. Then don’t bypass Newegg. If you feel it’s your patriotic duty to pay more and support a California company, then do so. Nobody is stopping you from easing a guilty conscience if you are suffering from one. For the record, I order thousands of dollars worth of items from both Amazon and Newegg. May the best competitors continue to win our business. Are you suggesting voluntary taxation? Be taxed if it please you? Is that suppose to be a joke? Agree. May the best continue to compete fairly to win our business. And all the big companies (walmart, target, borders, b&n) with more money and more power put all the moms and pops businesses out of business. Hows that for level? Nobody stopped walmart from opening 5 stores in a 15 mile radius. Amazon tax isn’t going to help anyone. Let’s do a quick check. Here are the market cap of some major retailers in billions. Obviously Amazon is much bigger than everyone except Walmart. Now there are also all the California mom and pops, independent stores and online retailers. Amazon has a built in 8% price advantage over all of them. How is that fair? Wai Tip Tung how much taxes do you pay. Stop acting like you pay any taxes. Amazon should not have to pay any taxes. The law is the law and just because the State Legislature says they have to pay don’t mean anything. Oh yes it does it means lots more people in this state out of work. Maybe that would make you happy you moron. Jerry Brown is a moron just like you. Well I guess California will fall more into the ocean day by day. And shut up you idiot Tang. Actually Wai, as a law of California when you purchased good out of California and brought it back to be use in the state (either through internet or drive to another state) you should report the “use tax” to the board of equalization and send in the check when you file your taxes. That is the LAW. So it shouldn’t matter if Amazon collecting the tax for you. It is YOU who is breaking the law by not reporting the “use tax”. I can reported you to the board of equalization for tax evasion. California will not waste time on small flies like you and me. That’s why they are forcing Amazon to do this so that everyone complies.